Events – AFRIQUYA | Multicultural party concept combining roots music with futuristic beats and house. Today, we proudly announce our brand new Spotify platform! Our very first playlist is called Sahara Blues and is a compilation of carefully selected tracks by Binair 01, Lowup Records and the Afriquya team. Some of the artists included are Terakaft, Gan Gah, Fatoumata Diawara, Mr. ID, St. Germain, Tamikrest, Wizkid and many more! Get your Pre-sale tickets for Afriquya X Lowup X Sonar on 23 November 2018 here. For the first time, Afriquya also partners up with Lowup (record label & radio show, Brussels) and Sonar (party concept by binair01, Gent) for a unique celebration of Sahara Blues at BOZAR. 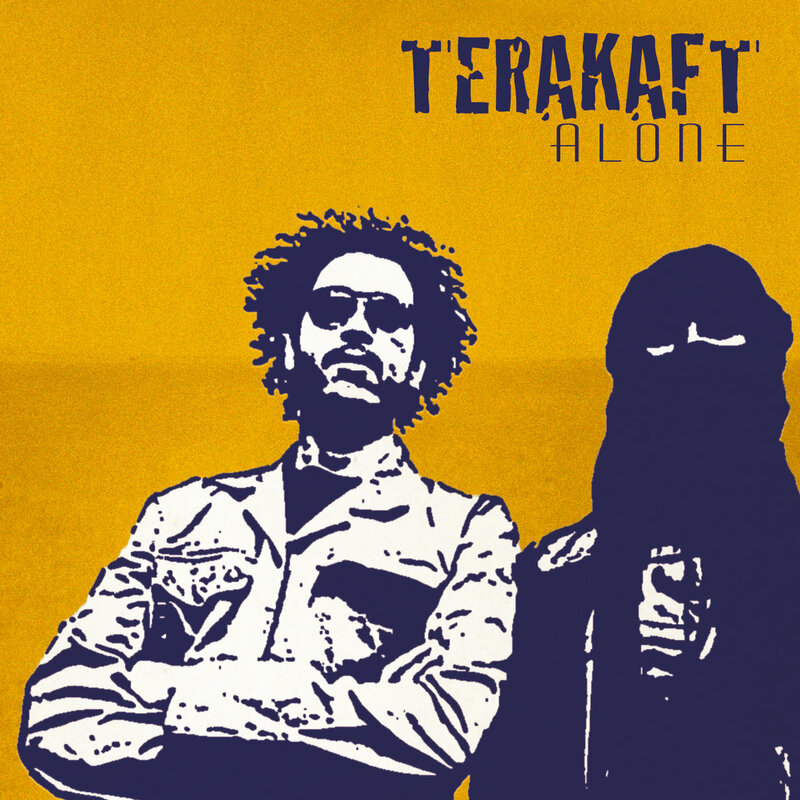 The band Terakaft (“caravan”) comes from Northern Mali and brings in a fascinating way the hypnotic and rhythmic Sahrawi clues. Doueh originated in Dakhla, a city in Western Sahara, and owes its powerful sound to a mix of traditional Hassan music (from the Yemenite-Arabic heritage) and pop, folk and blues. Fed by traditional « Gnawa » and Berber rhythms in the suburbs of Agadir, Gan Gah is an accomplished musician who knows how to shake a dancefloor with his bewitching beats. Offering a stunning combination of club music and traditional North-African melodies. The sum of classic beatmatching and extremely diverse dance rhythms make mnsr zér0 a party dj producing a unique sound. A real relief for lovers of thrilling and challenging dance rhythm variations. The name “Toufouk Ténéré is from the language Tamasheq and means “Sun of the Desert”. The main idea of this project is to improve everyday life of the population of the Aïr by use of solar energy. The mission of iCompassion is to make an appeal to the conscience and thus to inspire daily acts of sympathy through a REVERSIBLE bracelet. The benefits from the sale of the bracelets are invested in educational projects in Africa. Decorations & live animation will be provided by fashion designer Mmawaxx who combines modern designs with waxx fabrics. Resident DJ of Afriquya vzw combining traditional music with electronic beats. On Sunday 7 October Mamawaxx will organise a sewing / customisation workshop to create decorations for the next edition of AFRIQUYA at BOZAR on 23 November. Kids, parents and seniors are all welcome to participate! Two partnering clothing brands will support the workshop: Waxelles by Annelies Verhoeve and Elengiyk by Elengi Ya Kotonga. Afroblend Festival is a brand new FREE festival in Brussels promoting the afro culture and it’s new expressions. On 7 October, AFRIQUYA resident JOKI will perform a live DJ set at one of the biggest gatherings of organisations and people fighting for diversity in Antwerp (Belgium) and surroundings. “De Grote Omarming” is a FREE event with 12 specific points around the city of Antwerp. Each point represents a current important socio-economic challenge faced by the city and will include various artistic performances and debates. After the performances, all 12,000+ visitors will join hands to create a human chain that connects all 12 points. JOKI will be present at “Point 7” which stands for DIVERSITY. Join his set at 14h30, followed by street theatre from Madame Fortuna. “Point 7” is organised and curated by prestigious humanitarian non for profit organisations: Hand In Hand (NFP), Het Roze Huis (NFP) and Samenlevingsopbouw Antwerpen (NFP). On May 25th the 1st edition of Afriquya JAM took place in the Ravenstein Gallery located at the core of Brussels. It is a moment for us to share this musical and cultural experience with the local dance community in Belgium. We started this edition with a workshop given by house dancer & instructer Raquel Suarez Dueñas (aka Mamawax) and DJ Ivan Diaz! The workshop was followed by intense battles with JOKI on the desks and some of the best (afro)house & urban dancers from Belgium. Therefore, a special shout out to Bruce Blanchard, Karim Belharch, Hendrick Shaina Ntela, Zach Swagga, Xavier Mwaku, Garbar Joseph, Joffrey Anane, Samantha Mavinga, The Behouse Crew and Stephane Adn for lighting the FIRE! Our JAM editions are also unique opportunities to directly give back to less fortunate communities next to our doorstep. For this first edition, we decided to collect food (in exchange for free entrance) and donate all of it towards Al-Ikram. Al-Ikram is a small charitable organization that provides food, shelter and help in urgent moments for many of the refugees and homeless in Antwerp. The collection was of great help for Al-Ikram to organize one of their Iftar meals during Ramadan. Imagine organizing a great local event and suddenly Boiler Room shows up? That is exactly what happened. Thanks to Zach Swagga and Bruce Blanchard, Boiler Room & Eristoff decided to come and film our event while promoting the (afro)house scene in Belgium. Finally, a special thanks to our partners & sponsors: Noir Comme Neige, ONG Kesho, Freestyle Lab, Mamawaxx, Soulfood Mama Brussels, Ayacam – Association Humanitaire and Creative Events. Join us next year for a bigger, stronger and better edition of Afriquya JAM. A very special edition of Afriquya focusing on DANCE & COMMUNITY! Tickets House Workshop: €10 | MAXIMUM 20 reservations | Send e-mail to info@afriquya.com (First name + Last name). Battle Exhibitions with some of the hottest (Afro)house dancers in Belgium! The audience will choose 1 male and 1 female winner! The winner will receive an Afriquya gift bag. Battle + Party Tickets: €5 or 1KG of non-perishable FOOD for the less fortunate! Carlou D is a respected Senegalese author and composer. He is part of the “Baye Fall” movement, connected to the Soufi brotherhood Al Mouridiya. He takes inspiration from African rhythms and plays instruments such as the kora, percussion, harmonica and guitar! Sidy Cissokho. was born in Senegal. He is a great musician and master in West-African percussion. He specializes in djembé-doundouns-sourouba-bougarabou- sabar. He has travelled around the world to play alongside Youssou N’Dour, Colombia Artists and the National Ballet of Senegal. Sidy will perform live djembe sessions next to his students from Jali Kunda vzw. Resident DJ of Afriquya vzw and founder of Ancestral. Ivan Diaz combines Afro and Latin music with other world rhythms and a touch of future vibes. Souha will showcase live Senegal-inspired painting. Mamawaxx is fashion and design organisation using traditional wax patterns with the newest and hottest fashion trends from different cultures. BUY TICKETS Afriquya Afterparty: 5€. Multicultural party concept combining roots music with futuristic beats and house.